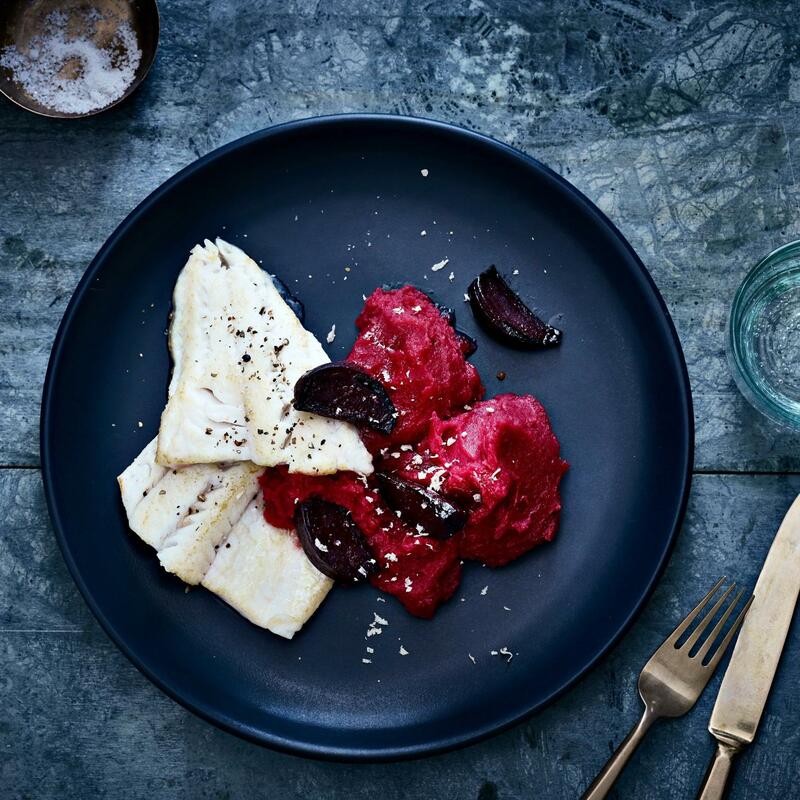 Place a steamer basket into a wide-bottomed pan, fill with water until it is just below the bottom of the basket, add the beetroot, cover and cook over a medium heat for approx. 10 mins. Add the potatoes, season with salt, cover and cook for approx. 30 mins. until soft. Pass the vegetables through a food mill. Gradually add the butter and horseradish, stirring until the mash has the desired consistency and is smooth and light. Heat the oil in a non-stick frying pan. Fry the pike perch fillets in batches for approx. 4 mins. on each side, season, drizzle with lemon juice and oil. Heat the butter and honey in a frying pan, add the beetroot and water, cover and simmer for approx. 30 mins., turning the beetroot occasionally. Add the reserved lemon juice, season.